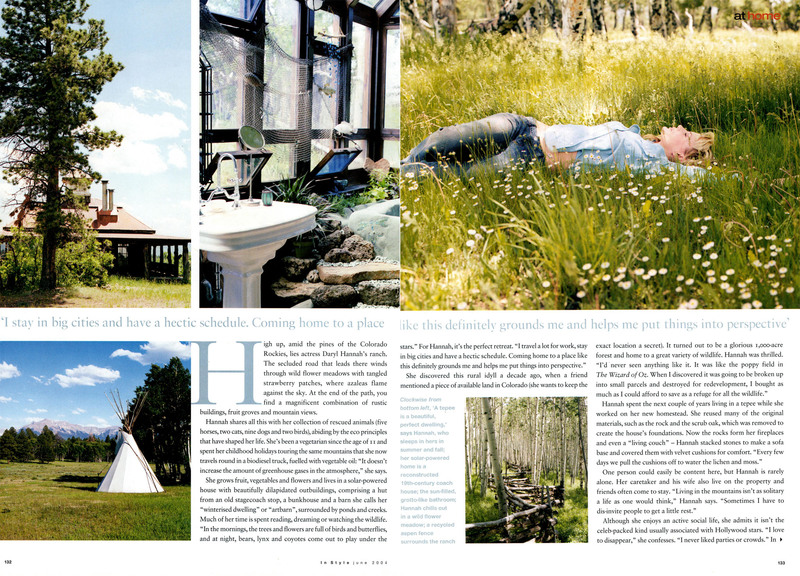 High up, amid the pines of the Colorado Rockies, lies actress Daryl Hannah’s ranch. The secluded road that leads there winds through wild flower meadows with tangled strawberry patches, where azaleas flame against the sky. At the end of the path, you find a magnificent combination of rustic buildings, fruit groves and mountain views.